When Wagner started to be a composer, there were three different models of contemporary opera. Wagner had tried to adopt those types with Die Feen (German, rich-orchestrated style), Das Liebesverbot (Italian, lyrical style), and Rienzi (French style, with its luxuries). He then decided that Italian and French models had been decadent: they had passed their peaks in developments; therefore Wagner went back to explore more in German style, manifested in Die Fliegende Holländer, Tannhäuser, and Lohengrin. Being ideologically attached with Bakunin the anarchist, Wagner got involved with Dresden putsch. Bakunin got caught and jailed, and Wagner fled to Switzerland. He faced the prospect of seemingly endless exile, with debt, hopeless marriage, and bad health. On this condition, he started composing Der Ring. Also he started reading Schopenhauer. His reading gave him the idea for a wholly new way of opera composing. In a letter to Liszt, he referred the philosopher as a man who has come like a gift from heaven. 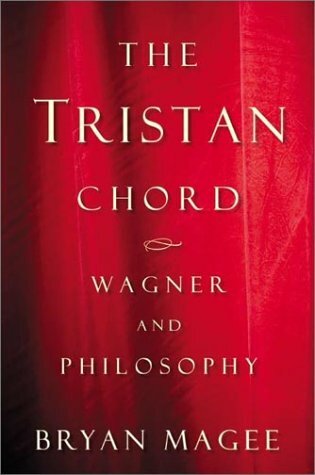 He then composed Tristan und Isolde, called it the simplest but most full-blooded music conception. He stopped Siegfried on Act 3, and devoted himself to Tristan. But after several months, it was only music as yet. Schopenhauer maintained that we are, in the most literal sense, embodiment of the metaphysical will, so that willing, wanting, longing, craving, yearning, are not just things we do: they are what we are. Music is also a manifestation of the metaphysical will. It directly corresponds to what we are in our innermost thing. On another fine day, Wagner performed a nice symphony for his wife’s birthday. Siegfried Idyll. It was performed at home, with a very small number of guests attending. One of them was young Nietzsche, starting his long and historical friendship with Wagner. Indeed, Wagner was the greatest influence on the young man, who would in turn became one of the greatest figures in the entire history of western philosophy. But it is another story.